Pipkin gets very excited when friends come to visit, which means he has a hard time sleeping in, even on a Sunday. 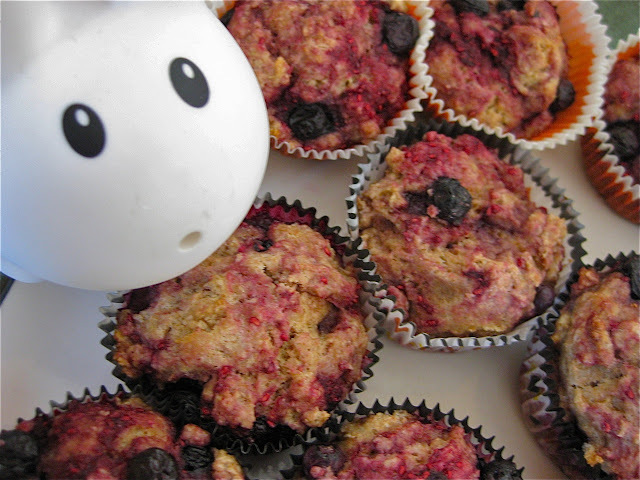 That's okay - he snuck down to the kitchen and silently made blueberry-raspberry muffins. They're best when they're warm out of the oven, so hopefully his friends will wake up to the smell of fresh baked goodness. Click here to print out the recipe. 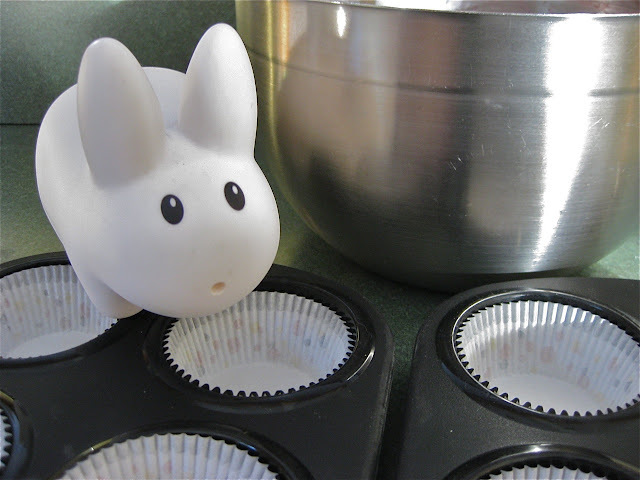 Labbit gathers ingredients while the berries defrost. Lightly grease or line a 12 cup muffin pan. Preheat the oven to 350 °F. Pipkin prefers lining to greasing, because lining with cups is prettier. Combine the flour, baking powder, salt and sugar in a large bowl. 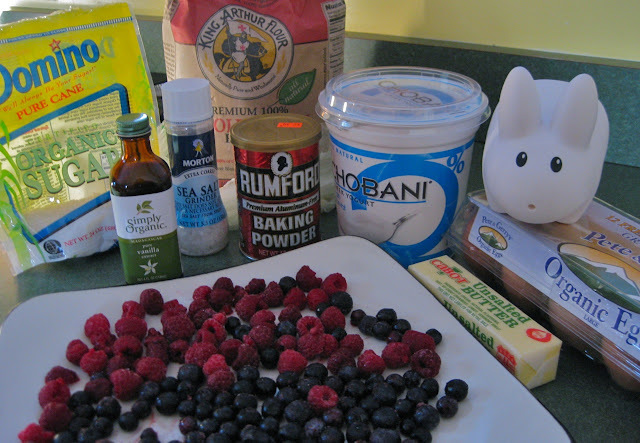 Lightly beat the eggs in a separate bowl, then add eggs, butter, vanilla, yogurt and berries and fold gently together until just evenly mixed; do not overmix. Spoon the batter into the muffin pan until each cup is 3/4 full. Bake in preheated oven at 350 °F for 25 minutes or until a toothpick inserted into the center of the muffin comes out clean of batter. Let the muffins cool in their pan for a few minutes before inverting them onto a wire rack to cool slightly. These are best served warm, but you can store them in an airtight container and gently reheat in the microwave.